In March of 1982, in Fate magazine, and then in 1983, in my book Mysterious America, I first used the term "Phantom Clowns" to talk of May 1981's Boston, Massachusetts accounts of individuals wearing multicolored clothes who reportedly were trying to entice school children into coming along with them. The eyewitness accounts of clowns in vans bothering children were discussed for the first time comprehensively in a work of Fortean wonders. "The story of the phantom clowns went unnoticed on a national scale until I began getting a hint we were in the midst of a major flap of a new phenomenon. Slowly, after contacting fellow researchers by phone and mail, I discovered the phantom clown enigma went beyond Boston, Kansas City, and Omaha," I wrote in Mysterious America. 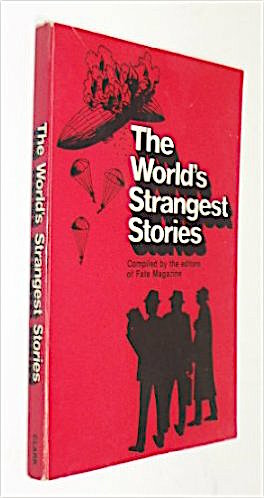 Fate found my piece such a popular article they featured it in Fate Editors’ The World’s Strangest Stories, “Phantom Clowns,” (Chicago: Clark Publishing, 1983). 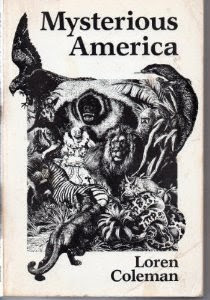 While the chapter on "Phantom Clowns" appeared in the 1983 edition of Mysterious America from Faber and Faber, it was seen as too scary to include in their 1989 edition (Boston & London). The "Phantom Clowns" chapter was actually left out. But my examination of "Phantom Clowns" was back in Mysterious America, as a chapter in the 2001 revised edition from Paraview, and the new edition of 2007, from Simon and Schuster. 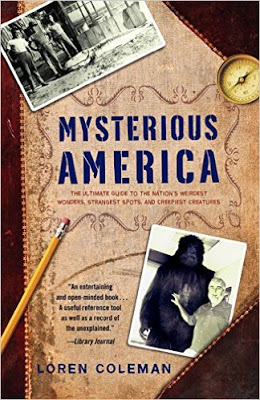 In 2007's Mysterious America: The Ultimate Guide to the Nation's Weirdest Wonders, Strangest Spots, and Creepiest Creatures, Chapter 21's "Phantom Clowns" was massively updated with all the new cases that occurred through the release date. 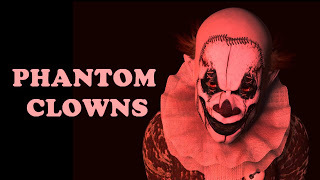 I've continued writing about Phantom Clowns since then, most frequently in this blog, Twilight Language, of course, and on some radio programs. What I have noticed, during this flap of 2016, is that the definition of what is a "Phantom Clown" is being diluted by the media. I have always strictly defined a "Phantom Clown" episode as one involving a clown-costumed individual attempting to entice or lure a child into a van, the woods, or other isolated situations. But then when the police or parents get involved, no clown can be found or captured. The apparent "vanishings" of these clowns are the "phantom" part of the Phantom Clowns scenarios. 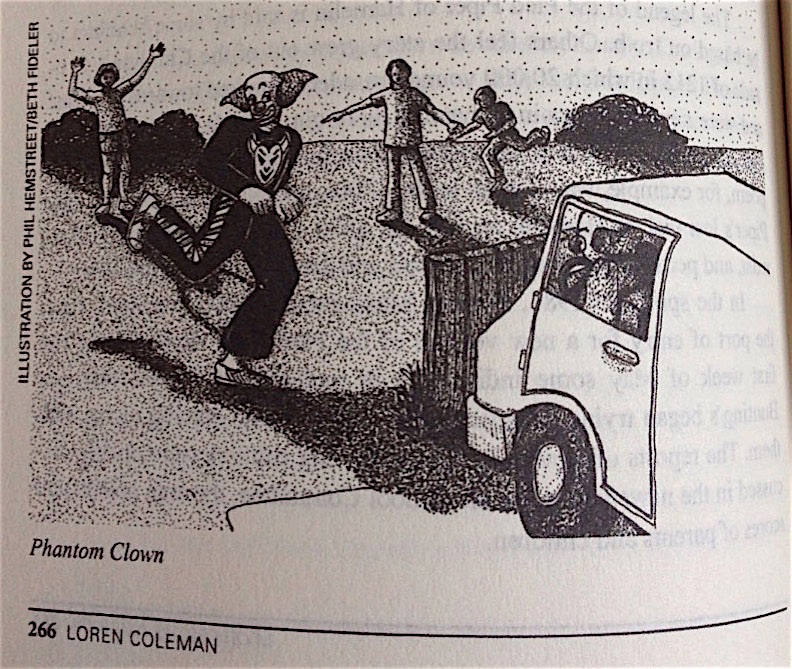 Most of the Carolinas incidents, therefore, are classic Phantom Clowns incidents. In Benjamin Radford's new book, Bad Clowns (Albuquerque: University of New Mexico Press, 2016), he reinforces this definition. 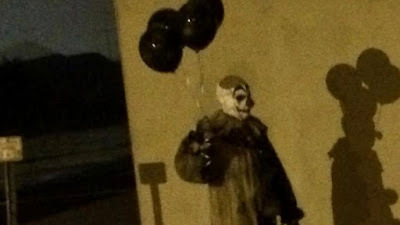 Most evil clowns are fictional and as such reside only in our entertainment and imaginations, leaving only a handful of real flesh-and-blood monsters that stalk our streets. 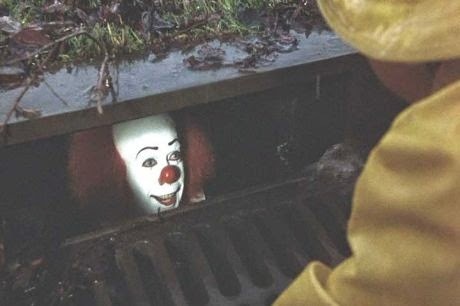 We know, for example, that Stephen King's Pennywise wasn't real, though John Wayne Gacy's Pogo was. Yet there is another category of bad clowns, one that seems to exist somewhere in the twilight between the cold, clear reality of daylight and the slumbered stuff of nightmares. These bad clowns are reported to roam streets and parks in the United States, the United Kingdom, and elsewhere looking for innocent children to lure and abduct - yet seem to vanish just before police can apprehend them. Some say they are real, while others claim they are figments of imagination. They are known as phantom clowns. Researcher Loren Coleman coined the term and described them in the pages of Fate magazine and in his book Mysterious America. ~ Benjamin Redford, Bad Clowns, page 151. Radford is to be congratulated for clearly understanding there are different types of clown appearances. I propose a classification system so the media writing about this 2016 clown flap can begin to realize there are definitely two entirely separate variants in the clowns being reported. One kind, luckily, has not surfaced this year. Killer Clowns: These are the real pedophiles who end up killing children, and murderers who kill people who use clown outfits as disguises. 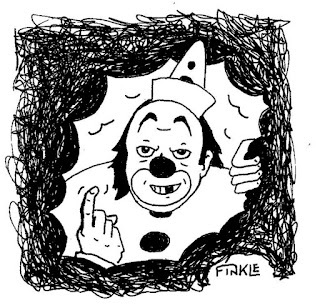 As Benjamin Radford mentions in his new book, John Wayne Gacy (active from 1972-1978) is the clown who performed throughout Chicago, and is his prime example. Also within Radford's book (pages 111-126), there are other recent instances, including the West Palm Beach Killer Clown of 1990; Aurora's Joker, James Holmes of 2012; and Las Vegas Jokers Wild, Jerad and Amanda Miller of 2014. Stalking Clowns: A new phenomenon in recent years has been clowns "appearing in public," without any apparent intent other than to be seen, to startle, to shock, or to surprise folks. As Radford begins his discussion about this group of clowns (pages 99-108), "there is no law against anyone dressed in a costume, jesters or otherwise, walking down the street or visiting a public public. 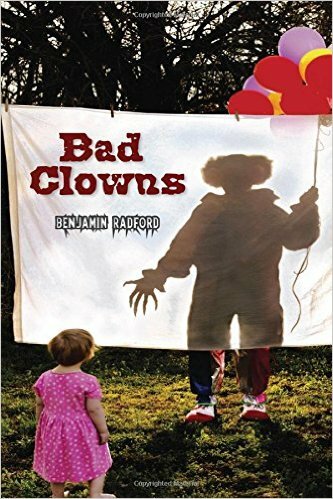 Several of the most famous stalking clowns have appeared in Northampton, England; New York; California; and France," (Benjamin Redford, Bad Clowns, page 99). What I have observed is that the media, during the late summer of 2016, are confusing the "clown types." They are mixing up their classifications of clowns. Some Stalking Clowns are being mislabeled as Phantom Clowns, or being mentioned in the same discussions of the strictly Phantom variety, to end a story. Often, these stalking clowns carry balloons. It is almost part of their motif. On August 2, 2016, a balloon-carrying clown stirred up people in Green Bay, Wisconsin. It was photographed but apparently left to go his merry way. It was a Stalking Clown. During the current clown flap, there has been a Stalking Clown seen in Yuma, Arizona, on Monday, September 6, 2016. This is not a Phantom Clown, either. 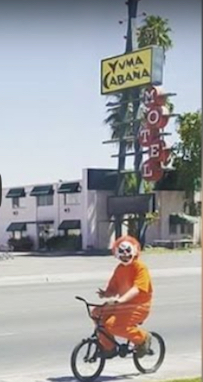 The clown-costumed individual was seen riding a bike and photographed. There is even a nicely placed location sign in the photograph so the clown can be located correctly in time and space. The story is being run in the context of the Carolinas clown wave, of course. Source. It is time for "Clown Classifications" to inform future analyses of this phenomenon. Here's a twist to this current creepy clown scare. A NC man arrested for falsely reporting a creepy clown sighting. His name is David Wayne Armstrong. Within the story is the mention of the killer clown, John Wayne Gacy Jr., who killed more than 30 teenage and young males in the '70's. The NEWS report of the FALSE REPORT, is an interesting change. Perhaps it's an attempt to stem the tide of copycat creepy clowns, in order to calm the sheeple? Calming the public so they will feel more like voting? Or maybe it's to prevent the meme from being over used? After all, too many creepy clowns appearing randomly will lose shock value. This reminds me of the zombie trend, which became so popular DHS was using the zombie theme in its training scenarios! IMO, continuous cos-play just isn't healthy. Not a phantom anymore. Oh, yet another creepy clown. This time in Middlesboro, KY. I for one am happy to see that a "Clown Classification" guide has been created. Though I doubt most journalists in the mainstream media will bother to follow it, using this new guide would certainly be a help to future Fortean events involving abnormal clown sightings.